In Lesson 3, we have learned how to design the user interface by adding controls to the form. Besides that, we have also learned how to change their properties. However, the controls on the user interface alone will not work without adding code to them. 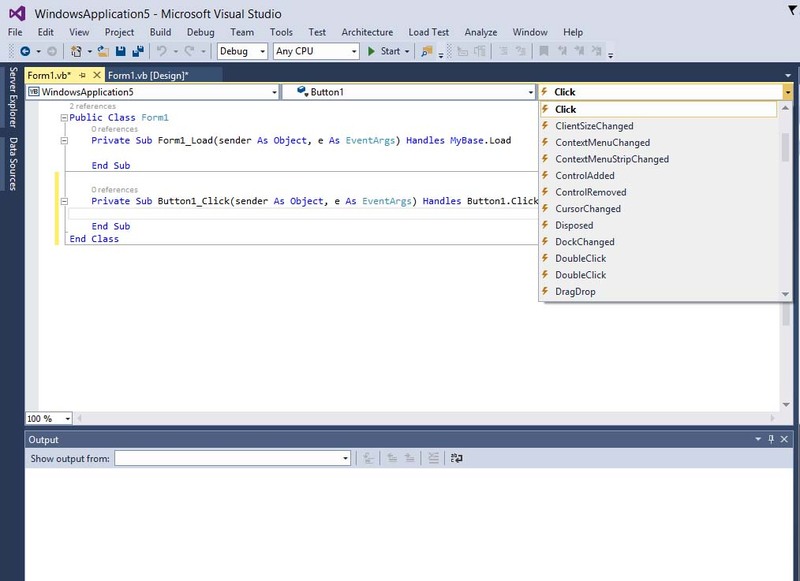 In this Lesson, we shall learn how to write Visual Basic 2015 code for all the controls. The code is necessary for a control to respond to events triggered by the users. 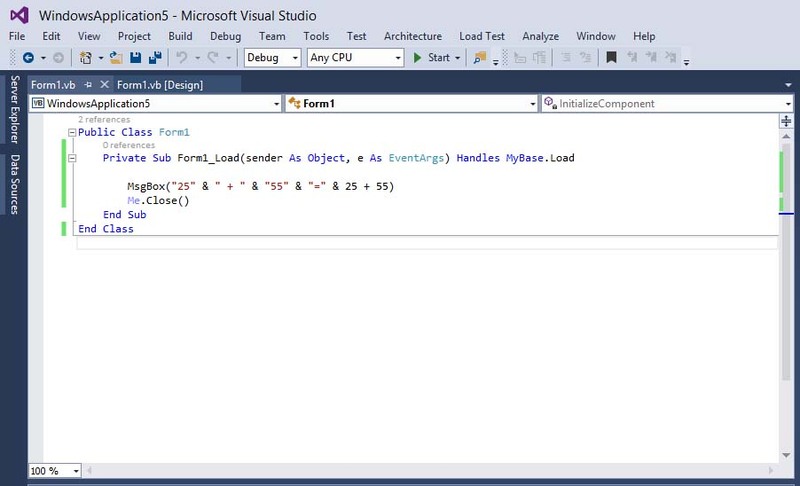 Before learning how to write Visual Basic 2015 code, let us dwell into the concept of event-driven programming. 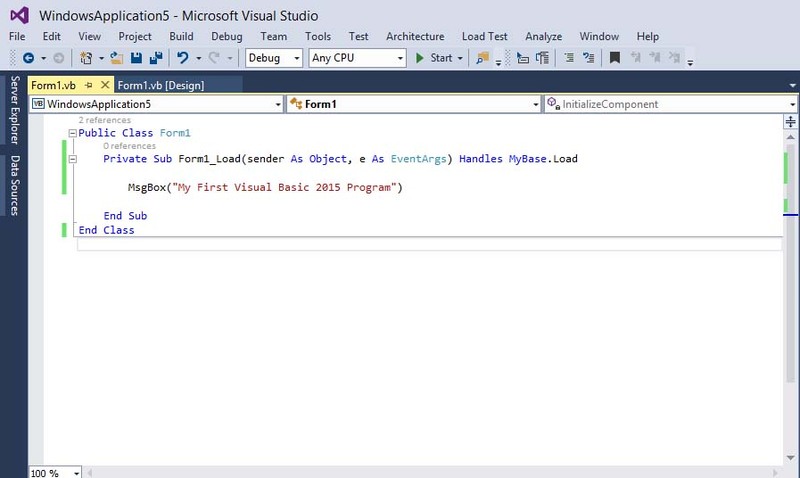 Visual Basic 2015 is an event-driven programming language, which means that the code is executed in response to events. We have learned how to design the interface by putting controls(objects) on the form, but they do nothing unless we write code for the objects to respond to events triggered by the user. Every control you place on the form has a set of events related to them. Some of the events are load, click, double click, drag, and drop, pressing the keys and more. To view the events, double-click the control (object) on the form to enter the code window. The default event will appear at the top part on the right side of the code window. You need to click on the default event to view other events associated with the control. 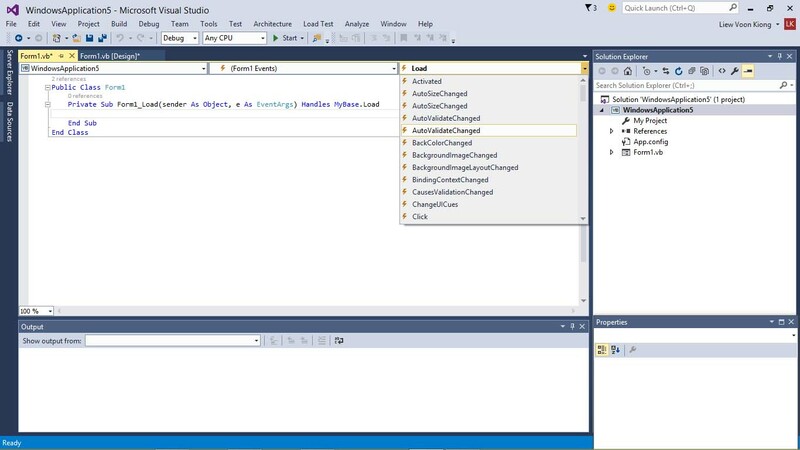 The code appears on the left side is the event procedure associated with the load event. The event procedure load associated with the default form is shown in Figure 4.1. 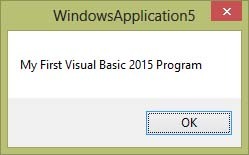 When you run the program, a message box that displays the text “My First Visual Basic 2015 Program” will appear, as shown in Figure 4.4. 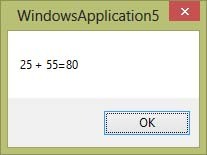 MsgBox is a built-in function in Visual Basic 2015 that display a message in a pop-up message box. *The symbol & (ampersand) is to perform string concatenation. The statement Me.Close() is to close the program after clicking the OK button.